When I moved from Australia to America, my passion for sustainability and ethical fashion + products increased dramatically. Now having lived away from Australia for over two years, coming back is a new challenge; away from fast fashion and quick consumerism, Australian fashion has taken some wonderful steps towards more sustainable and ethically produced fashion. The hardest part about Australian fashion and products is that our location geographically puts us close to China and our trade agreements with certain countries makes cheap labor even more accessible than countries like the US and Europe. Australian manufacturing is such a rarity, that’s why even now, it’s so important to support Australian made, or ethically produced goods (even if overseas, transparency and intentionality is the key for success) because any step towards fair labour, sustainable materials and slow fashion is wonderful. I’ve compiled a list of MY personal favorite brands, and I’ll add to this as I learn of more brands and stores, and although this isn’t extensive and as comprehensive as my US list (I’ll link that blog post once it’s finished), Australia’s market for slow fashion is growing and there’s a variety in style and price in this list. Let me know if you love any other brands I haven’t included. Brands on here range from both ethically produced clothing and pieces made with sustainable materials. I’ve done as much research as possible on these brands from what is readily available and will be emailing and chatting to their teams to confirm more about their ethics + sustainability. As a vegan, I do believe that leather can be the most durable option for many shoe products and if the leather is used as a by-product from meat harvesting and is saved from waste I think it’s the best we can make of the industry in its current state. In terms of making products last, I do think we’re not in a place with synthetic products that we can make them last for very long, and leather can be fixed and shoes can be repaired etc.. Synthetic leather is harmful to the environment and mostly, the communities near its production (harmful gases and chemicals not to mention toxic runoff into water streams). My goal consuming leather products is to ensure they last as long as possible, with repairs and if they replace multiple pairs of shoes then it’s an okay purchase for me. I refuse to use leather products without doing extensive research of the brand, and am against the cruelty of harming animals exclusively for their leather. We can’t be perfect and I always strive to do my best; until leather has a safe alternative (mushroom leather, cmon!) I can consider this is a viable option. Specialising in Leather shoes + bags. This Byron brand is all about minimalism. The cows used to produce their leather are farmed on farms local to their workshop and used for consumption for meat, then leather as a post-product. Their shipping comes with minimal packaging, and their packaging in general is made mostly cardboard and paper (recyclables), they use minimal plastic, and produce only on demand (to minimise waste). This makes their products limited and more on the mid-market price range, but they’re beautifully made and very unique. Their pieces are locally and handmade in Indonesia from a workshop that started with 3 workers and now 35 people are working on their team. The team are like family and have constant communication and good relationship with the owners and team in Byron Bay. Their materials are also sourced from Indonesia, to ensure the materials travel as little as possible to keep costs down and environmental impact lower than many companies who are sourcing materials from China or India. *Wearing their shoes, pants and bag. Stay tuned on instagram for more pictures of their pieces (bought some cute pieces for summer). Specialising in minimalistic linen pieces for women, with a masculine edge. Arthur Apparel is a gorgeous label for capsule pieces. Founded on the South Coast of NSW, their versatility and every day designs are timeless. Their range of clothing is unisex appropriate, as well as versatile for all seasons. Their modern style and beautiful materials (think linen everything) mean you can wear their pieces to the beach, or layer them in the cooler months with sweaters and leggings. They have some gorgeous coloured pieces too, and you can purchase their pieces on websites like The Iconic; being a little more mainstream, you can always find their clothes on sale from a stockist (or sign up to the Iconic for $20 off your first purchase from their label!) - Their garments are handmade in Bali and they allow and welcome emails about their production process on their website, which is always a good sign of healthy practices. Every Australian knows of Spell. This Byron Bay label has been a huge leader in the ethical boho clothing genre. With many labels now striving to achieve the level of success like Spell, their leadership in their manufacturing as well as their production and passion for circular fashion, make them a remarkable brand. Not to mention their style is very in trend for their market and youthful and fun for anyone needing some color in their life. While the boho beach style isn’t my personal style, they also carry a lot of minimal patterned pieces and their swimwear is awesome. If you love pattern and vibrant color, Spell is your place. If you want to read about the incredible things that Spell is doing, click here to read about their massive vision and acts to further improve the norm in fashion. Their prices are a little on the higher end but their clothing is a statement for anyone to enjoy. Opia has perfected femininity in clothing. Their pieces range from elegant dresses to basic but bold staples, perfect for the beach or for wearing in the city. Their natural fibre pieces are both ethically made, and of sustainable materials, and you have to love everything about this beautiful Byron based brand. The inspiration for this brand came from the ocean and nature, and they are dyed with plant based dyes. Encapsulating all elements of our earth, Opia pieces are timeless but truly telling of their environment they’re inspired by. Opia’s pieces are designed in Australia and manufactured by a small family operation in Indonesia. They have limited runs to ensure quality and sustainability by reducing excess and waste. Specialising in casual and beachwear. Zingara is a smaller label but perfect for the Australian market. With handmade clothing from Bali, a super small collection and botanically dyed and ethically made items, they’re perfect for your tropical getaway while still feeling good about your consuming. They use the purest fibres they can find for their materials, such as Organic Cotton, Pure Linen and Pure Hemp that are dyed only with plant dyes and environmentally friendly products such as barks, berries, leaves and wood. They create simple designs with the intention of easing the load for the workers producing the clothing, as each piece is handmade. They’re also 100% plastic free in all their business, so from shipping to manufacturing and storage. I definitely recommend this lovely little label to anyone who cares about what they are purchasing. 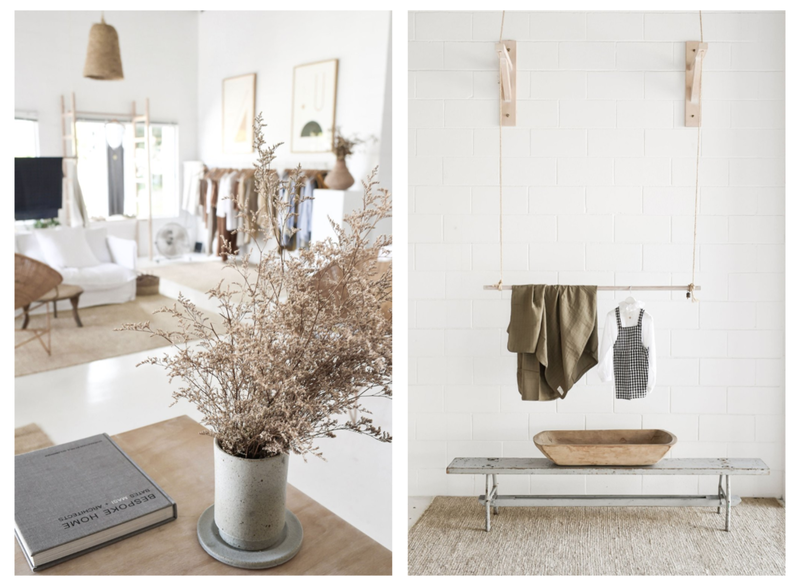 Yoli and Otis is another Byron based brand, also based in Bali, their pieces are Plant Dyed and Ethically made. Focusing on big shapes and elegant design, their clothing looks like it should be in a minimalist art gallery before you ever wear it. They carry a lot of monochromatic and minimally coloured pieces, so if you’re a lover of simplicity and elegance, Yoli and Otis has something for you. They’re a little more ‘exclusive’ than many other labels, so expect a higher price tag, but their design is truly outstanding. They use organic materials and and recycled packaging and also have a wonderful range of childrens wear. Their clothing is heavy and thick and so beautifully made and it’s definitely made to last for years and years. Having almost purchased a swim suit from this amazing little brand in Byron a few weeks ago, I can vouch for how incredible the material is on these recycled plastic swimsuits. With each piece made from a 100% regenerated nylon yarn called ECONYL® which is a longer lasting, more durable recycled nylon lycra with responsible manufacturing here in Australia and biodegradable packaging, you can feel so good about purchasing these swimsuits. The owner is also part owner of a little store in Byron called Sea Bones which stocks most of the above brands, and it was one of my favorite shops I visited while in town. Rowie the Label is super stylish and perfect for the summer seasons. It’s easy to see why this brand is a success, with an affordable price point and flattering patterns. Rowie pieces are currently manufactured in Bali in a family run factory who have an incredibly strong relationship with the owners and workers of Rowie, and the workers at the factory the clothing is manufactured in are treated ‘like family’. Rowie also ships with no plastic products and is very eco-forward. Their manufacturing is moving to China in February of 2019 so I’ll update this with any new information as I see it. If you search anywhere about Australian sustainable fashion, you’re bound to stumble upon Vege Threads. They make the best basics, with a beautiful yet simple color palettes. You’ll find everything from hemp made clothing, to organic cotton intimates and comfortable prices. They’re also a 1% for the Planet company, use plant dyes and keep their manufacturing in Australia, not only for the ethical element, but also to ensure that skilled workers and garment makers in Australia have jobs; fueling the local economy is also a huge part of sustainable fashion. They have great transparency on their website from where they source their material, to where the fibers literally come from. I can’t recommend this brand enough for all your basics. Boho and beach style, with kidswear. Auguste is such a darling brand. They’re one of the only brands I’ve seen carrying matching womens + children dresses (talk about cute!). Auguste is fully transparent about their ethics, their factories, where their clothing and material is sourced, their carbon footprint as a brand and their flagship’s initiatives to reduce their waste, and to top it, they’re also a 1% for the Planet member. Their pieces are very fresh and youthful with a bit of boho. Perfect for taking traveling or for a wedding on the beach. If you’re looking for the perfect pair of dress shoes, R.M. Williams makes their striking leather shoes in Adelaide, and have been for years. These shoes are nothing short of a work of art and the craftsmanship that go into each pair is outstanding. You can read about their manufacturing on their website. 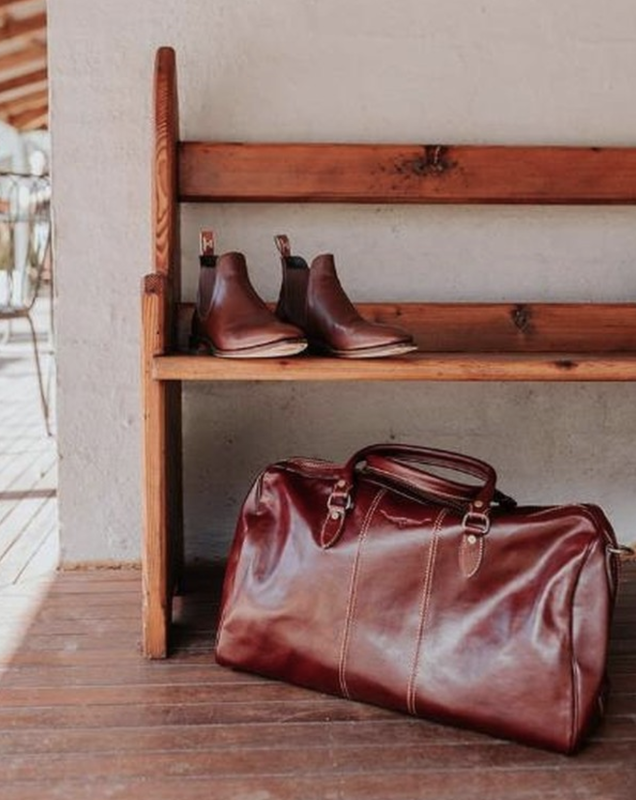 Their shoes are made for the Australian outback, and designed for anyone who lives in this harsh country, so you can ensure you’re buying a shoe that will last. The following brands or labels are either much smaller, individual makers or are working towards sustainability. I’ve also added some companies on here who are sustainable and fantastically transparent, but their style is not one I’d personally wear. I’ve decided to have an ongoing list to add whenever I stumble on a small brand I love, or when I see a company pledging to more transparency in their brand ethics. Assembly Label (I personally reached out to their team and asked about their practices, as their clothing is so beautiful. They’re working towards more transparency, but are aiming to get B-Corp certified before adding brand ethics to their website. They let me know they have a good relationship with their company in China and they aim to use sustainable materials like linens and cottons etc. I’ll update this if I see any improvements).